Earlier this month, eGaming Review (EGR), announced the shortlist for the 2018 EGR Operator Awards to be held at the Grosvenor House in London. 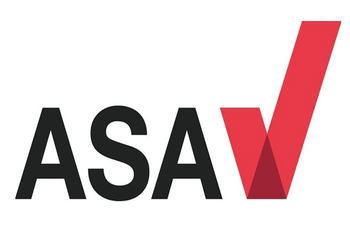 More than 800 industry professionals are expected to attend this year’s award ceremony. Heralded as the “Oscars of the eGaming sector,” the EGR Operator Awards is broken up into nearly thirty unique categories covering topics like sports betting, mobile gaming, horse racing, eSports, customer service performance, and fantasy sports. Arguably the most prestigious of all the awards given out at the EGR Awards are the Game of the Year and the Casino Operator of the Year awards. Up for Game of the Year are operators ELK Studios and Realistic Games among others. The nomination of the pirate-themed Wild Seas slot game marks the third EGR Game of the Year nomination for Swedish game developer ELK Studios, who received its first EGR nomination in 2015 for its war-themed Poltava slot game. The company won 2017’s Game of the Year Award for the slot game Wild Toro. 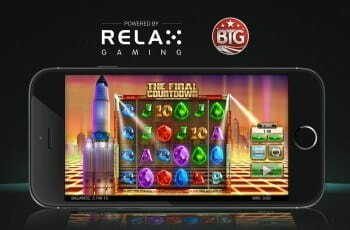 Realistic Games has turned heads with its Black Ice slot game, which is the developer’s first 3D slot. The game allows players to control their view of the action whether playing on mobile or desktop. Amongst the other nominees, one can find more established developers like Scientific Gaming and Quickspin. Also nominated in this category are Play’n GO’s Sweet Alchemy, NetEnt’s Jumanji, Pragmatic Play’s Wolf Gold, Quickspins’ Eastern Emeralds and Rainbow Riches Drops of Gold from SG Digital. Evolution Gaming is representing the live casino operators in the Game of the Year competition with its loud and exciting take on a classic: Lightning Roulette. The nominees for Casino Operator of the Year include the humorous PlayOJO casino, mobile darlings LeoVegas, and the MRG group who run the popular Mr Green casino. 888 casino and Mansion are also in the running, with Mansion having already won the Online Casino Operator of the Year award earlier in 2018 at the International Gaming Awards. Judges will base their decisions on a myriad of factors including innovation, flexibility, reliability, delivery and user experience. The winners will be announced at the London event on Thursday the 25th of October. 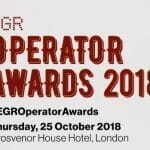 For a complete list of nominees and categories for the fourteenth rendition of the EGR Operator Awards, follow this link to the EGR Awards’ website.